Photo: Lazy chairs on Cha-am's beach. A bit of a seaside dump saved by its proximity to Bangkok, the long beach at Cha-am is popular with working-class Thai weekenders and a scattering of foreigners. Though you’ll find much better beaches further south, Cha-am boasts terrific seafood and is more affordable than nearby Hua Hin. Many of Bangkok’s wage earners escape the grind of answering phones and serving drinks by loading into garishly coloured coaches that blast Thai pop music while pulling up to Cha-am Beach for a day or two of leisure. Their merrymaking doesn’t waste a minute, as some tours budget only half a day of beach time before heading home or perhaps popping over to Phetchaburi for a whirlwind spin through the temples and palaces. From Saturday morning to Sunday mid-afternoon, festive crowds of Thais dig into seafood, iced beer and whiskey around deckchairs set in neat rows beneath the casuarina trees that line the beach. Often the bravest (or drunkest) of them test out their English skills by inviting passing foreigners to join them for a beer or three. By Monday Cha-am empties out as room rates fall and some businesses close. With coarse tan and off-grey sand tapering into murky brown-blue water, Cha-am Beach is no better than average as far as Thai mainland beaches go. Erosion has affected the southern stretch, where the water washes straight up to a rocky break wall at high tide. It gets better to the north, where the best patch of sand across from the Methavalai Hotel stays wide enough for a Frisbee toss no matter the tide. The beach road runs beside the sand for a full eight kilometres in central Cha-am. Stacks of hotels, guesthouses, restaurants and shops join some ugly abandoned buildings on the inland side of the road, while only lounge chairs overseen by tiny seafood kitchens nudge right up to the sand. Vendors wander around hawking snacks, sarongs and knick-knacks as beach dogs try to look cute in exchange for a nibble of grilled squid. Some of the livelier tourists get up and rip over the water on jetskis and banana boats. At the beach’s far northern end, a long rocky pier that culminates at a statue of giant squids makes for a fun bike ride. Just inland from that is a small fishing village with a harbour full of trawlers, stilted shacks, no-frills seafood eateries and Thai or Burmese fishermen offloading their catch or lazing in hammocks, waiting for the tide to come in. It’s well worth a look and the seafood is excellent. Cha-am draws a handful of foreign tourists and retirees, mostly Scandinavians as evidenced by several Norwegian eateries on the beach road. Things get a bit seedy on Soi Bus Station, a central side street that now features “hostess bars” rather than buses. But overall Cha-am operates at a lower key than Hua Hin a bit further down the coast, which has a slightly better beach to go with a much larger expat community and a wannabe high-society vibe. Cha-am makes a fine base for exploring other attractions in the area, like Mrigadayavan Palace on the way south, Phra Nakhon Khiri Historical Park in Phetchaburi town, and Kaeng Krachan National Park in the mountainous wilds along the frontier abutting Burma. Or you could hang out with elephants, bears and gibbons at Wildlife Friends Foundation Thailand, an organisation headquartered 35 kilometres northwest of Cha-am that cares for animals rescued from the illegal wildlife trade and abusive tourism venues. Cha-am is located on the Gulf of Thailand, 170 kilometres southwest of Bangkok and 45 kilometres south of Phetchaburi town. Though part of Phetchaburi province, it falls more into the realm of Hua Hin, a fairly large city and mainstream tourism destination located 20 kilometres to the south. Some of the resorts in Cha-am even include “Hua Hin” in their names. Naranthip Road runs east from Cha-am Railway Station and bisects Phetkasem Road (Route 4) before bumping into the main seaside drag, Ruamchit Road. Marking the centre of the beach, a rocky viewpoint hosting a tourist police office juts out across from where Naranthip and Ruamchit meet. Guesthouses and hotels are found both south and north of here; we liked the vibe a bit better to the north, which is more developed and puts you closer to the fishing village and the best beachfront. Banks, ATMs, convenience stores and a post office are all found on Ruamchit. For maps and brochures on the area, stop by the local Tourism Authority of Thailand (TAT) office to the south of town off Phetkasem, which is open from 08:30 to 16:00. Cha-am Hospital (T: 032 471 007) stands two kilometres inland from the beach off Khlong Thian Road, and international hospitals are available in Hua Hin.  Please sign up as a Travelfish member to download the Cha-am guide PDF (3.8 MB, 21 pages). Membership costs just A$35 per year (less than A$1 per week) and gives you access to over 250 PDF guides. Last updated on 24th June, 2017. Browse our independent reviews of places to stay in and around Cha-am. Read up on where to eat on Cha-am. Check out our listings of things to do in and around Cha-am. Read up on how to get to Cha-am, or book your transport online with 12Go Asia. Planning on riding a scooter in Cha-am? Please read this. 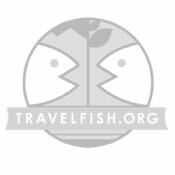 Use the above map to find specific destinations in and around Cha-am which are listed on Travelfish. Bed icons indicate a guesthouse, hostel or hotel, the knife and fork is an eatery or bar and the four-way circular thingy marks sights, attractions and other points of interest. Click on any icon for a short pop-up and a direct link to the page for that spot. If you are in the area, use the teardrop icon near the top left to show your position on the map (you'll need to allow position sharing for this last feature to work).